Ford India yesterday Introduced the new 2012 model of Ford Fiesta. 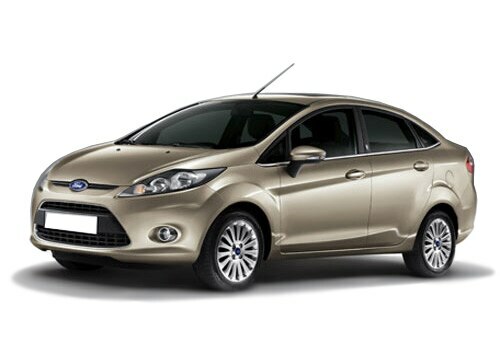 In order to attract more customers, Ford India has launched the new Fiesta at attractive price. The new Ford Fiesta price is starting from Rs 723,000 at ex-showroom in Delhi. The new Ford Fiesta has got more global appeal and technology. This new 2012 version will be available with manual transmission in both petrol and diesel variants. The base model is equipped with 1.5 L Ti-VCT petrol engine available at ex-showroom price of Rs 723,000 and 1.5 L Duratorq TDCi diesel engine at Rs 899,000 ex-showroom price. The new 2012 Ford Fiesta is also launched in new Ford Fiesta PowerShift Automatic variant delivering amazing fuel economy of 16.97 kmpl. This fuel economy is highest in the segment. It is available in two variants; Style and Titanium+ equipped with 1.5 L Ti-VCT engine available at ex-showroom prices of Rs 899,000 and Rs 970,300 respectively. This PoweShift Automatic is variant is blessed with the unique transmission unit which doesn't require any maintenance for 10 years or 240,000 Kms. At this compelling price, the ambient model of new Ford Fiesta is bestowed with top-end features like EPAS, driver Airbag, ABS, Driver seat height adjustment, Power mirrors, Tilt steering, Turn indicators on ORVM, adjustable Front seat belt height, Guide me home Headlamp and adjustable rear headrests. These features makes it an excellent model for base level. The Top model Titanium + of the new 2012 Ford Fiesta is blessed with additional top-notch features like Cruise Control, Bluetooth voice control, Rear Park Assist, auto power-fold mirrors, chrome front grille and reverse parking sensor. These features are generally available only in expensive premium segment cars. The PowerShift Automatic Titanium+ variant is further blessed with leather seats. The new Ford Fiesta review has remained positive since its launch last year. If one takes a glimpse at the new Ford Fiesta pictures, one will find it as an extremely attractive car with eye-catching exteriors and spectacular design. The car possesses the international appeal in looks and style.